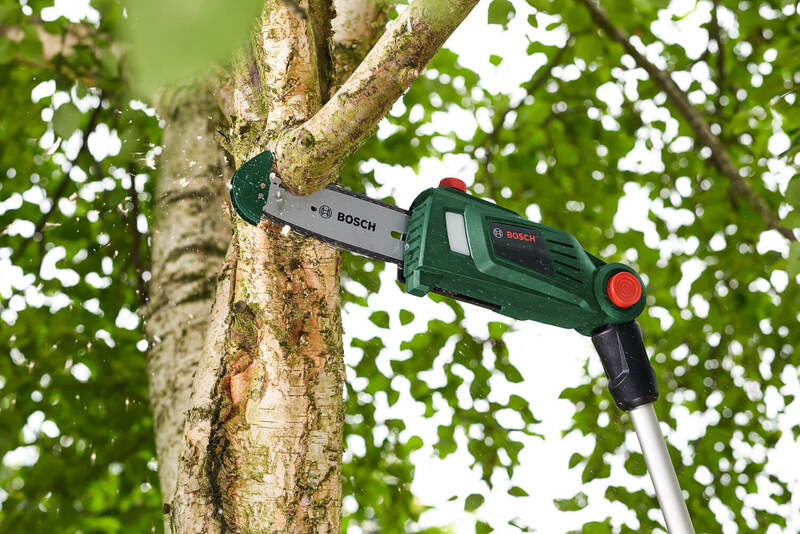 Easily cut down hard to reach branches with the Bosch Universal Pole Pruner. Featuring a telescopic pole design, this handy chain pole does away with the needy for ladders when pruning trees. 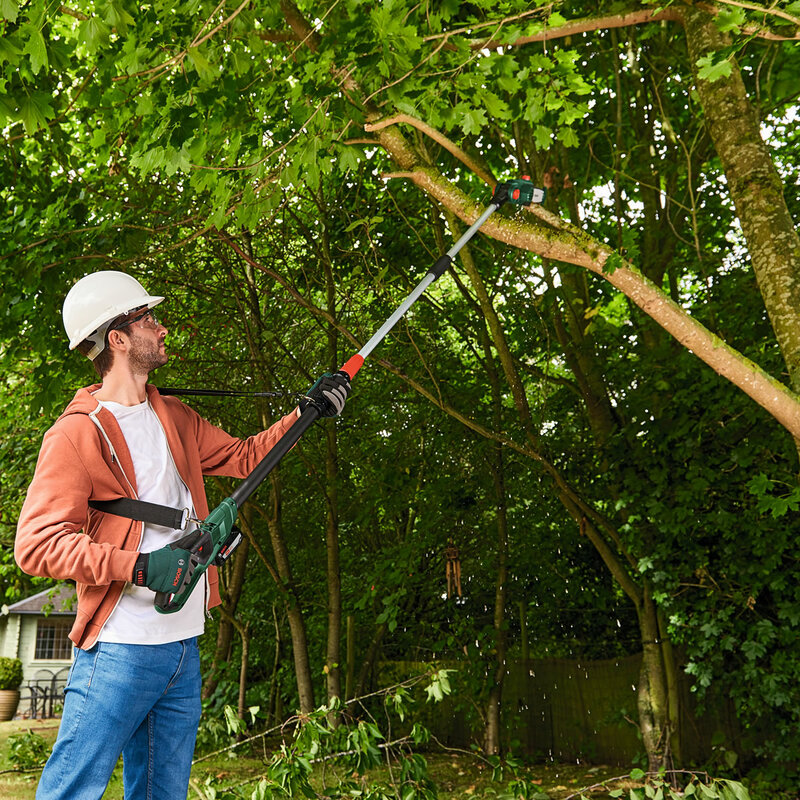 Equipped with a number of practical features, this pole pruner is able to provide excellent cutting performance without causing unnecessary damage to trees, and without putting the user under strain. 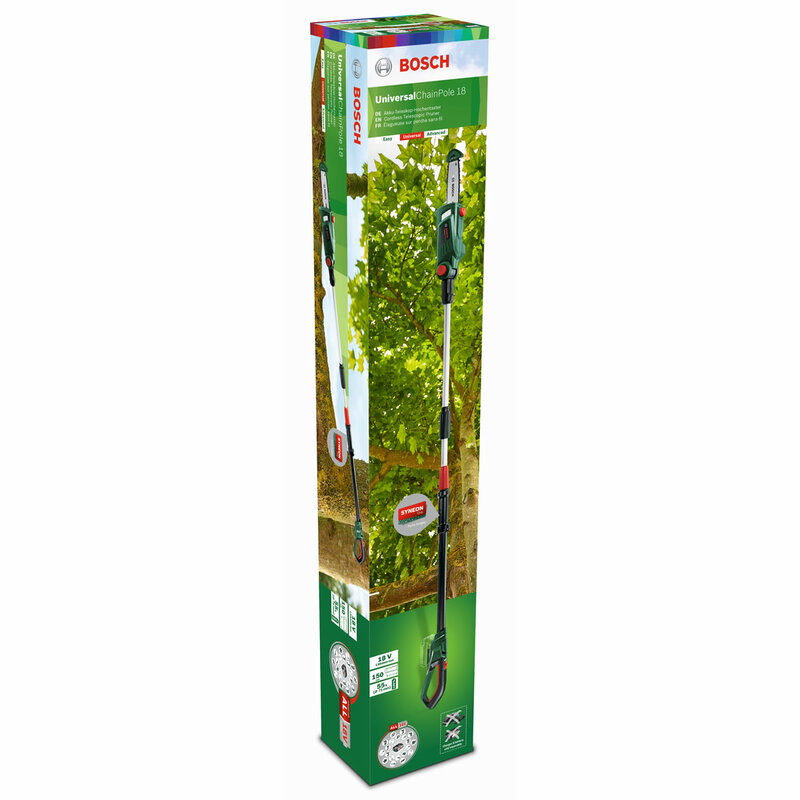 Bosch's Universal Pole Pruner allows the user the ability to prune at heights of around 2.5 meters with both feet firmly on the floor. 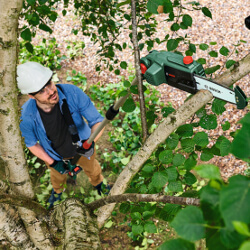 Removing the need for ladders, the Universal Pole Pruner used a telescopic pole design to safely and efficiently prune trees. 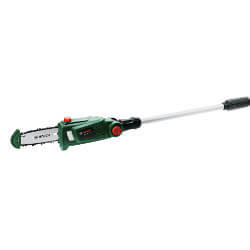 It runs on an 18v battery and has an approximate battery life, when fully charged, of 60 hours. 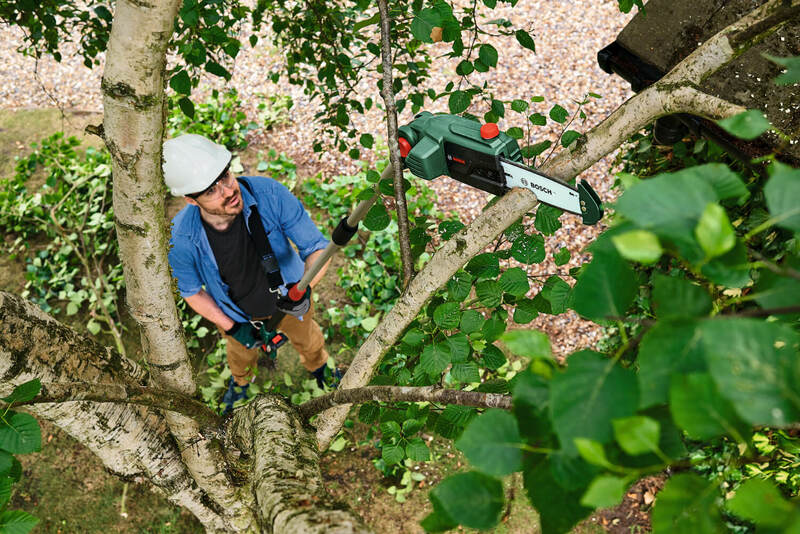 It has a 120 degree pivoting head to allow the user to reach even the most awkward of branches, and it has a chain speed of 4 metres per second. 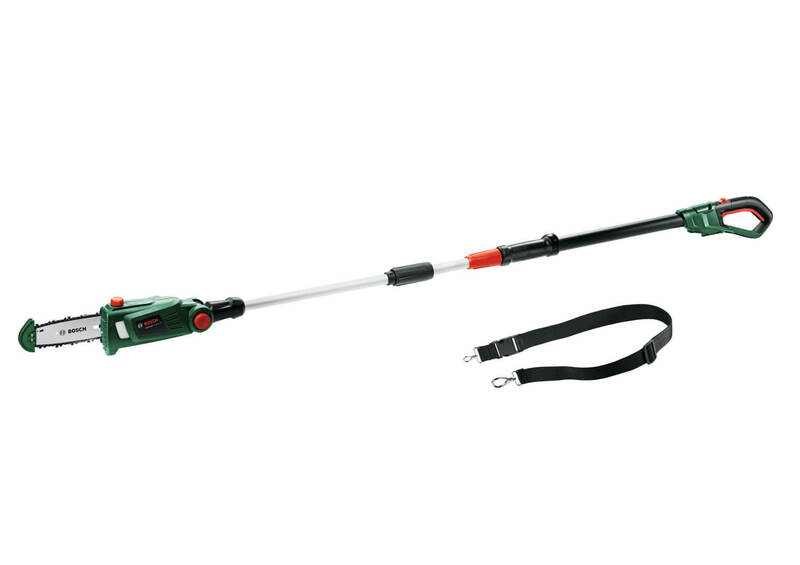 This chain pole has a number of great features to aid the user, such as automatic chain lubrication and an oil indicator, to ensure that its 60ml oil tank never runs dry. 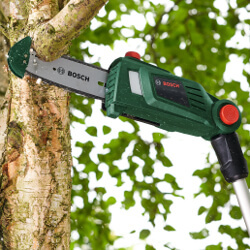 It also benefits from the convenience of using a Bosch Power for ALL battery, which allows users to use the same 18v batteries for multiple tools. 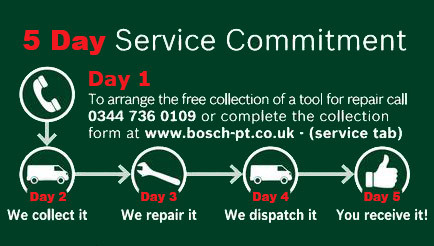 As well as this, it also benefits from one of Bosch's innovative Syneon Chip which intelligently controls energy based on demand.